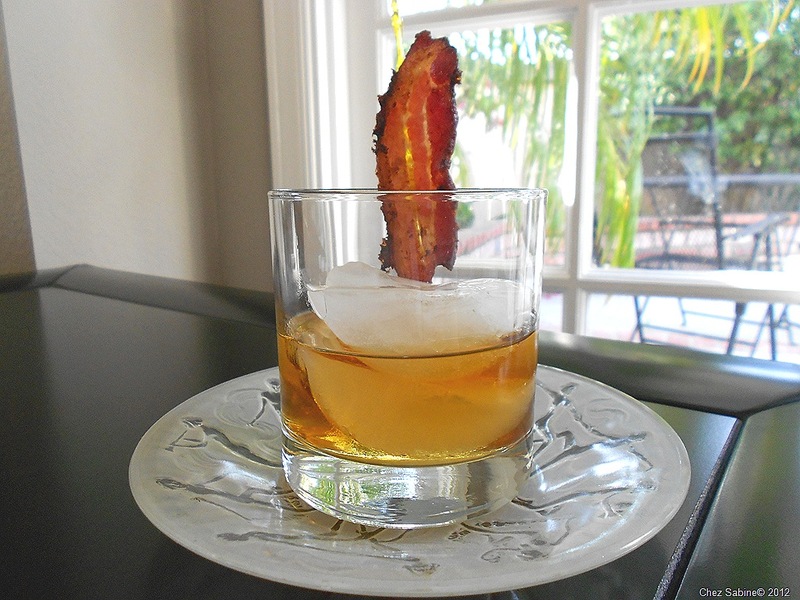 I’d be lying if I said I didn’t like bacon-infused bourbon. I do. 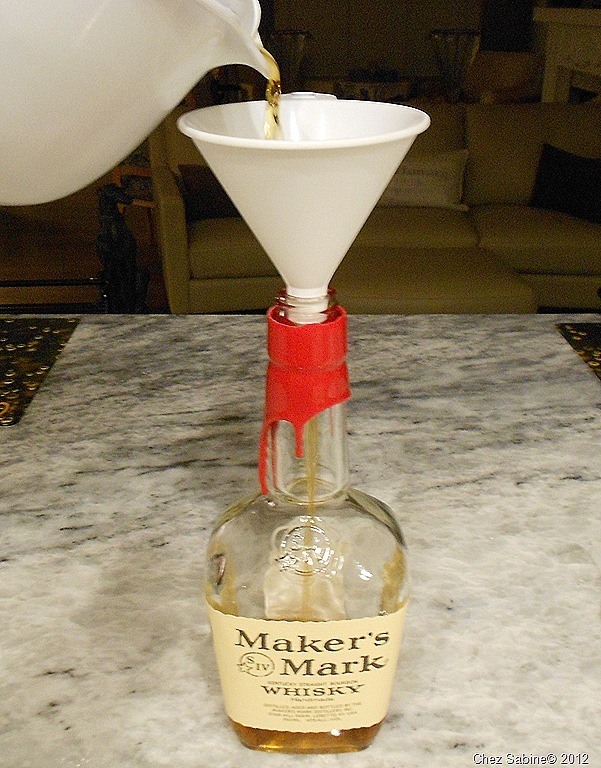 Make mine Maker’s Mark. But who hasn’t already come across a dozen places giving you basically the same recipe? 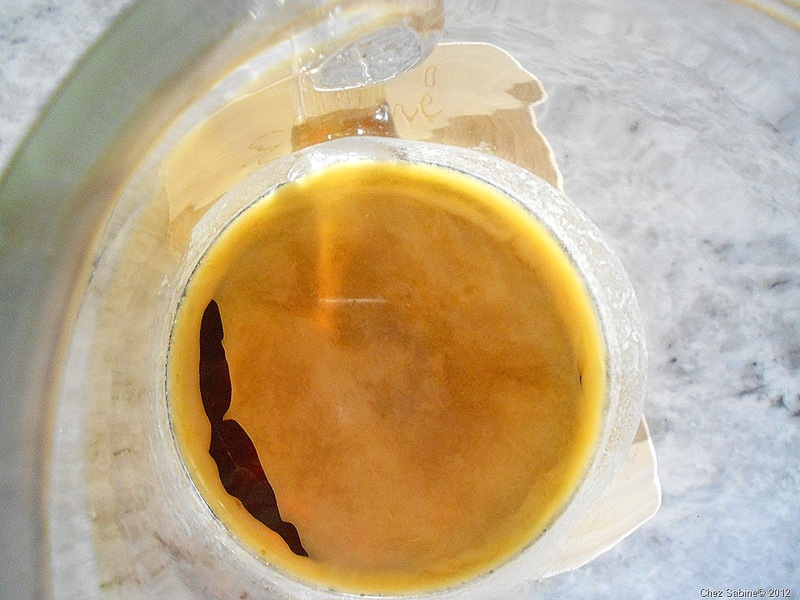 Even Field & Stream has a cool blog with a fine recipe for basic bacon-flavored bourbon. I figured if I was going to share bourbon infused something with you, I needed to step it up. I think I might have. Because I love all things spicy, I decided to add an element of heat to the mix. Chipotle seemed like a perfect addition. Bacon is smoky, chipotle is smoky. Good enough for me. And, you, too, I hope. Here’s how I made it, and now you can make it just as easily. Bourbon and bacon is pretty good, but throw in some heat from chipotles and the fun really begins. 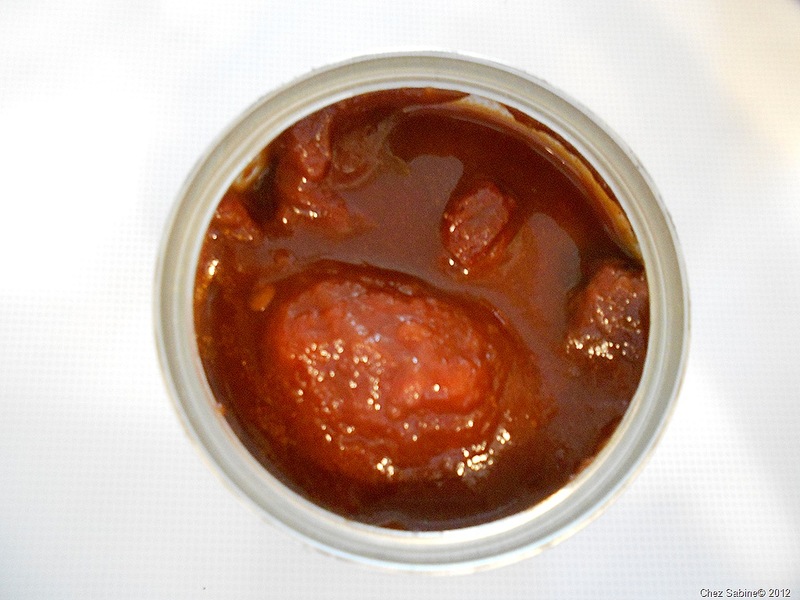 Chipotle peppers are merely jalapenos that have been smoked. Sometimes you can find them dried, but more often than not, they’re easily available in small cans and hanging out in spicy adobo sauce. I always have some in the pantry and in the fridge. A little goes in marinades, a lot goes in barbecue sauce, pretty much anything I want boosted. 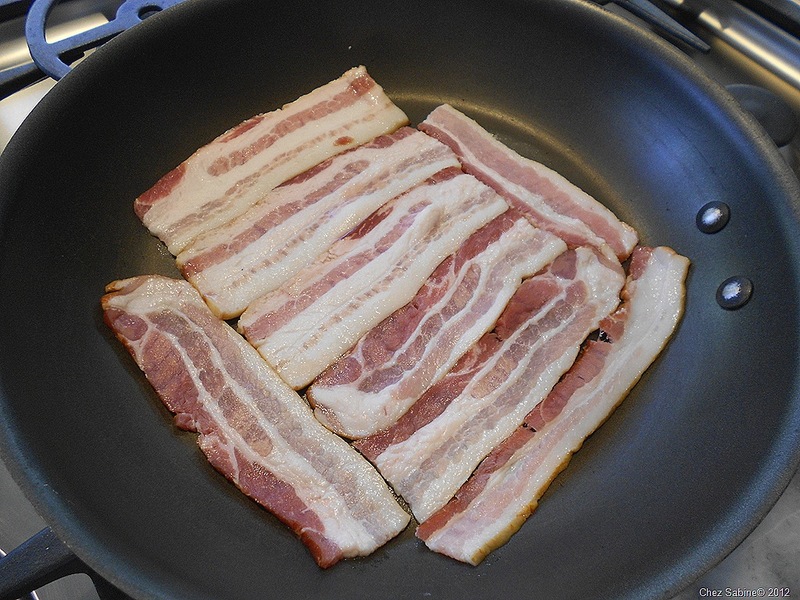 I took four slices of bacon and cut them in half so they would fit in the pan. Use good quality bacon with a lot of flavor. 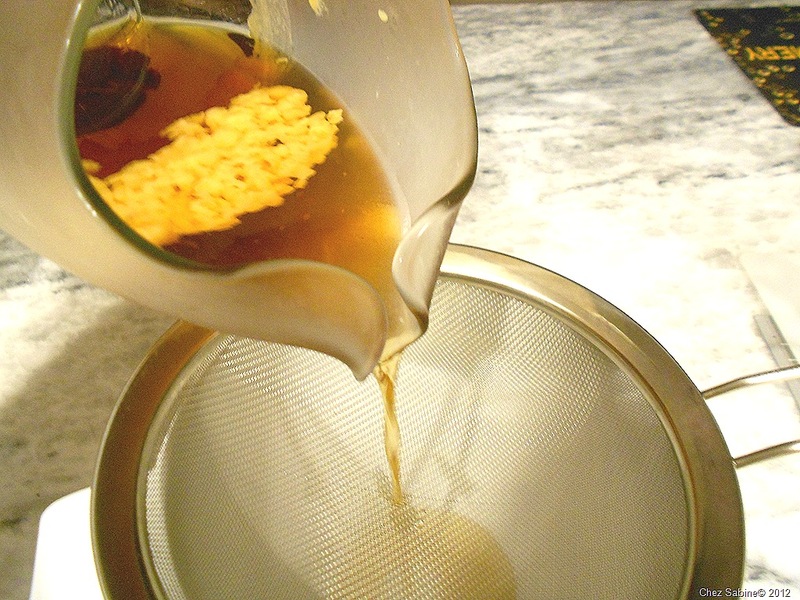 You’re only going to use the rendered fat for the bourbon. Luke and Dexter got the bacon. As the bacon is cooking on one side, start prepping the chipotle pepper. I only use one pepper, which gives it just the right little kick without obliterating the flavor of the bourbon. 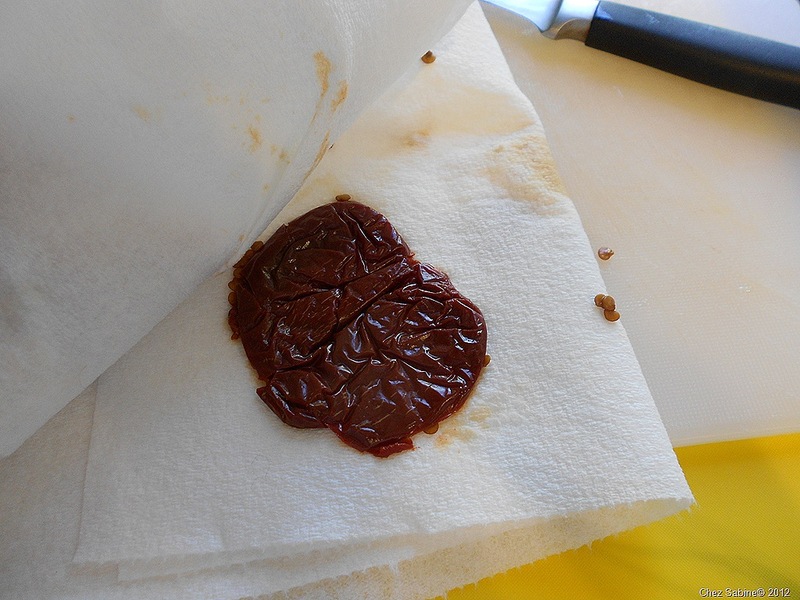 Rinse the chipotle to remove any of the adobo sauce. 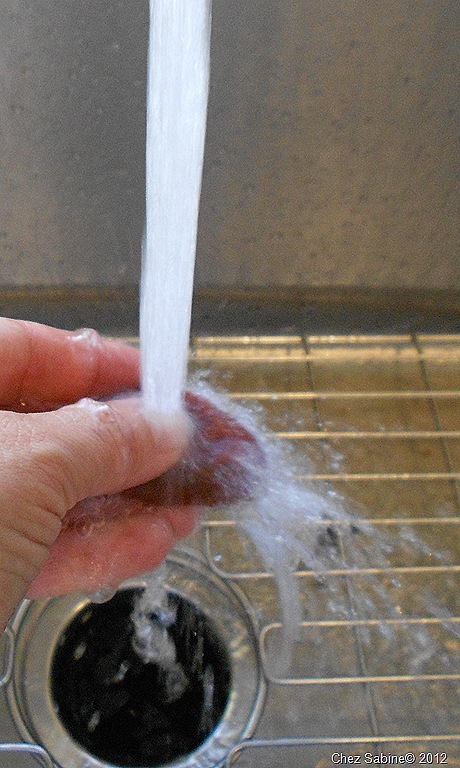 Squeeze it gently to get rid of the liquid inside. 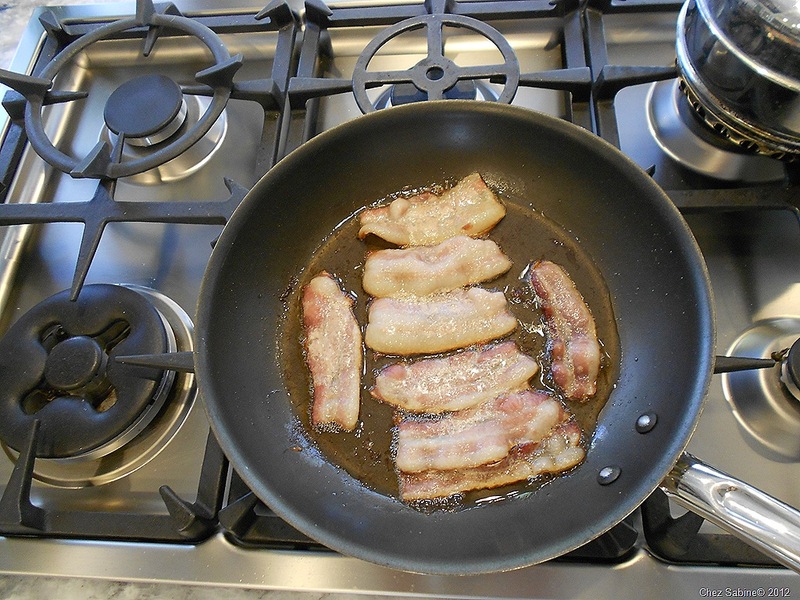 You’re going to place it in the pan with the sizzling bacon, and any moisture is going to cause some serious popping. A bad thing when it comes to bacon grease. 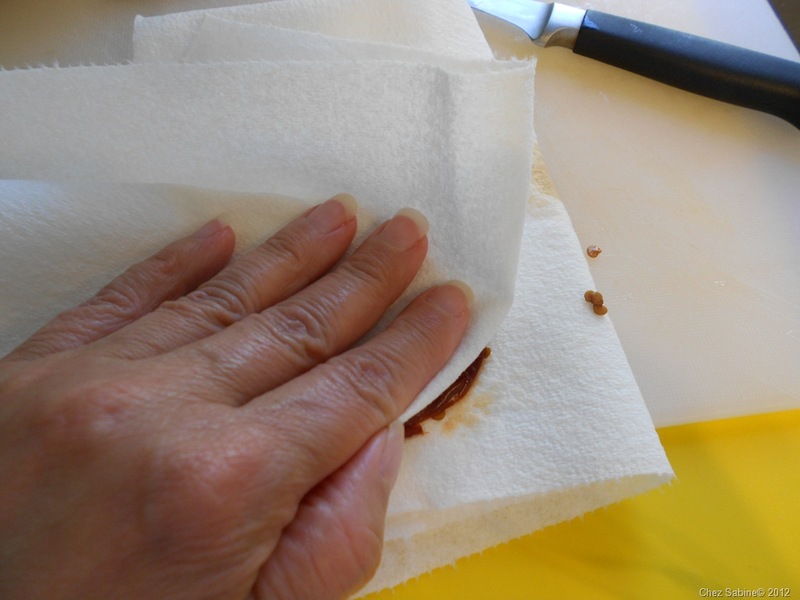 Place the pepper on a paper towel to absorb the liquid and then gently scrape out the seeds. Blot the pepper until it’s dry. 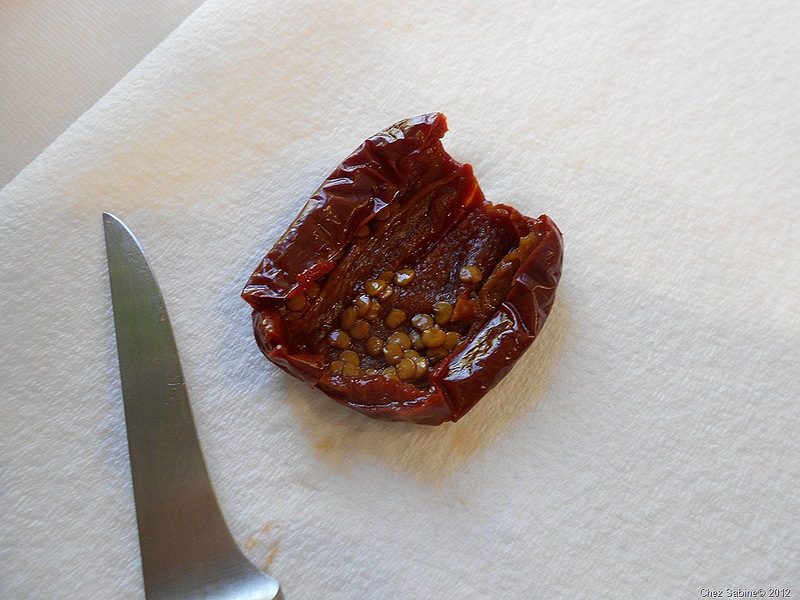 The chipotle is fairly delicate at this stage, treat it gently so that it doesn’t fall apart. Once you’ve turned your bacon over, add the chipotle and let it brown along with the bacon. Flip it over after about a minute, careful that it doesn’t burn. 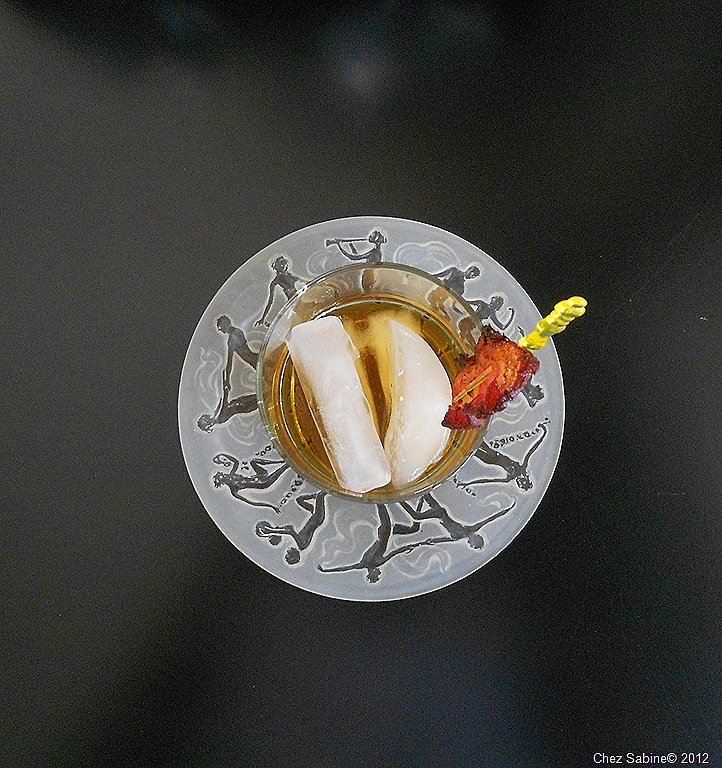 If your bacon or pepper ends up burning, don’t put it in the bourbon. Toss it and start over because you’ll ruin the bourbon. 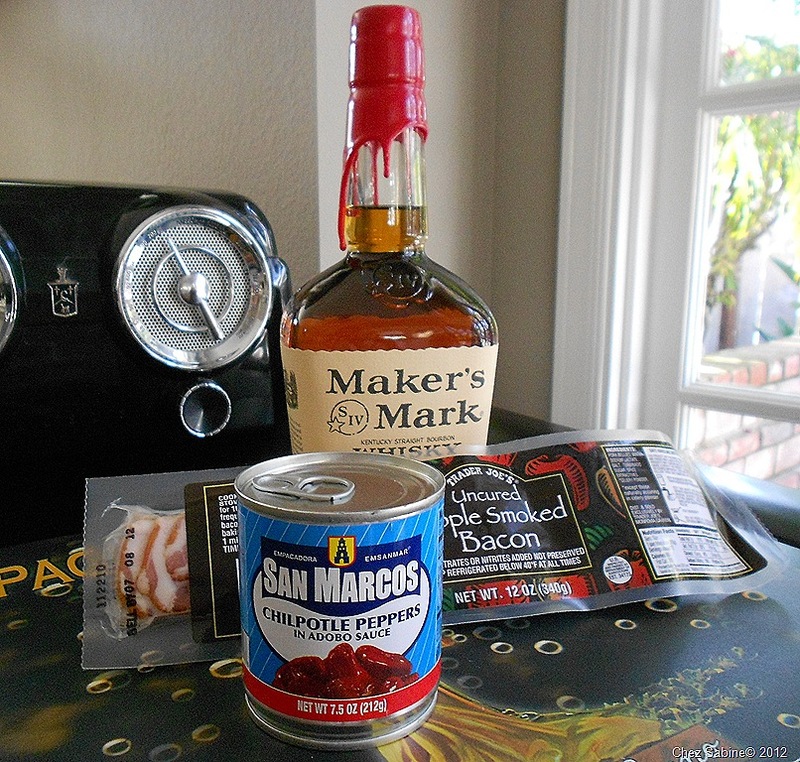 Bacon is far less expensive than a bottle of good whiskey. 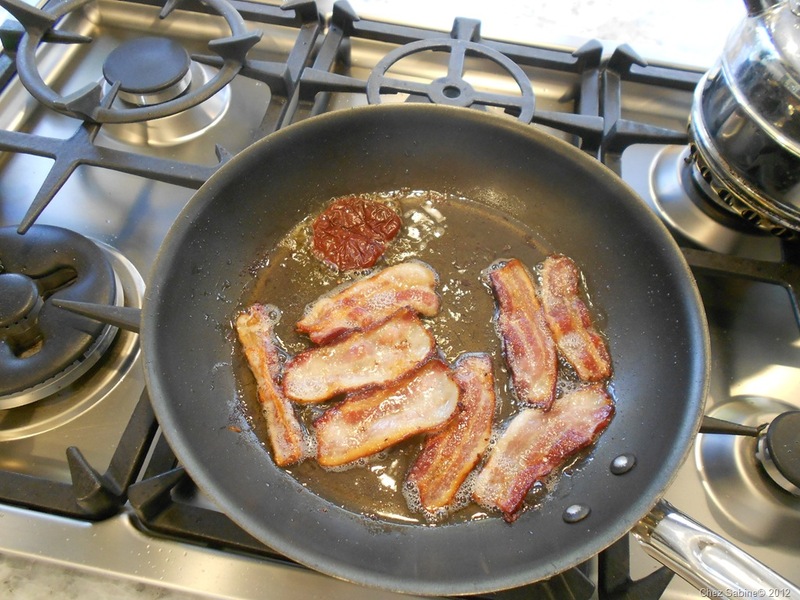 Remove the bacon when it’s brown and crisp, then remove the chipotle when it looks slightly crisp around the edges. 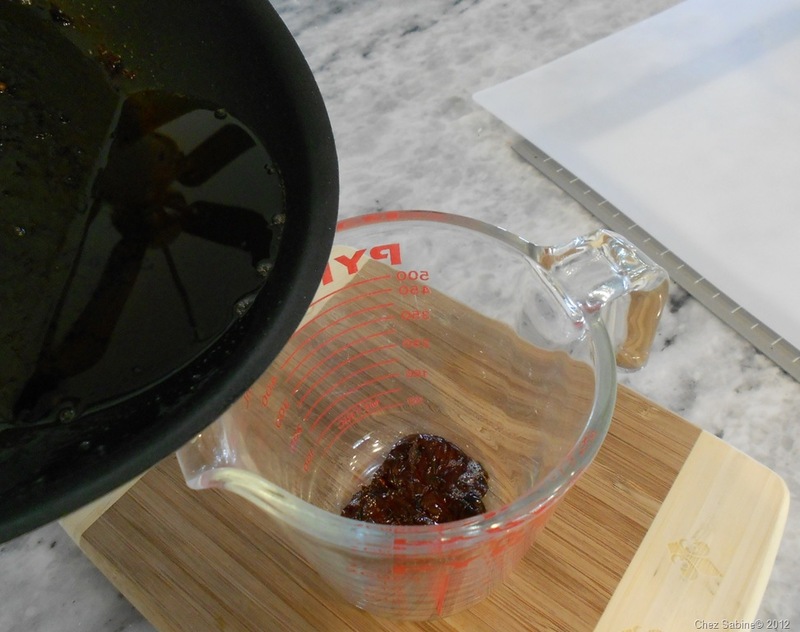 Place the pepper in a heat-proof glass measuring cup and carefully pour the bacon grease into the same container. I ended up with exactly 1/3-cup of bacon grease. A perfect amount for my 750ml Maker’s Mark. Let it sit for about 15 minutes until it cools a bit. 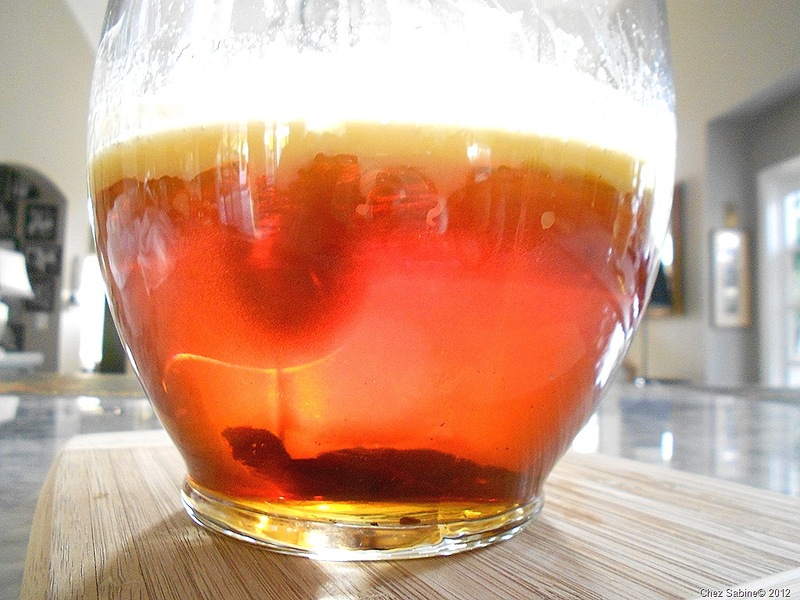 As your bacon and chipotle mixture cools, pour the bourbon into a large jar or pitcher. I have several large glass jars with screw top lids that are perfect for this task, but they’re currently otherwise occupied with tequila and grilled chilies and pineapple. Now it’s time to merge the bacon grease and the chipotle with the bourbon. By the way, I like Maker’s Mark, but you can use another bourbon if you prefer, just don’t get chintzy. 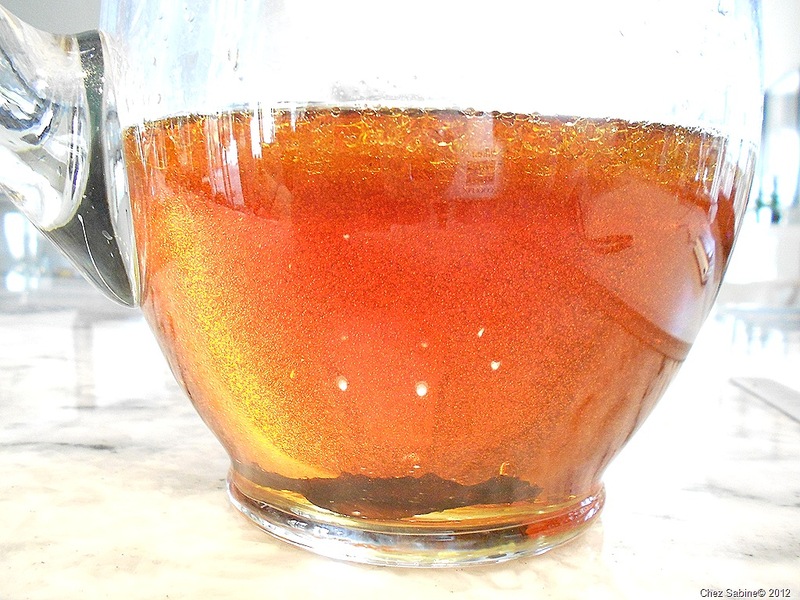 You want a good bourbon flavor to shine through. Isn’t it pretty? 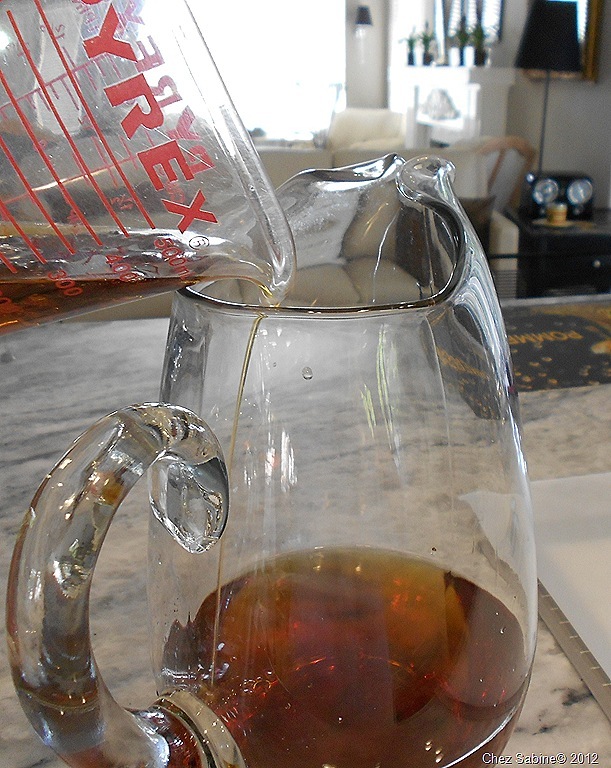 Your neighbors will think you’re brewing tea. 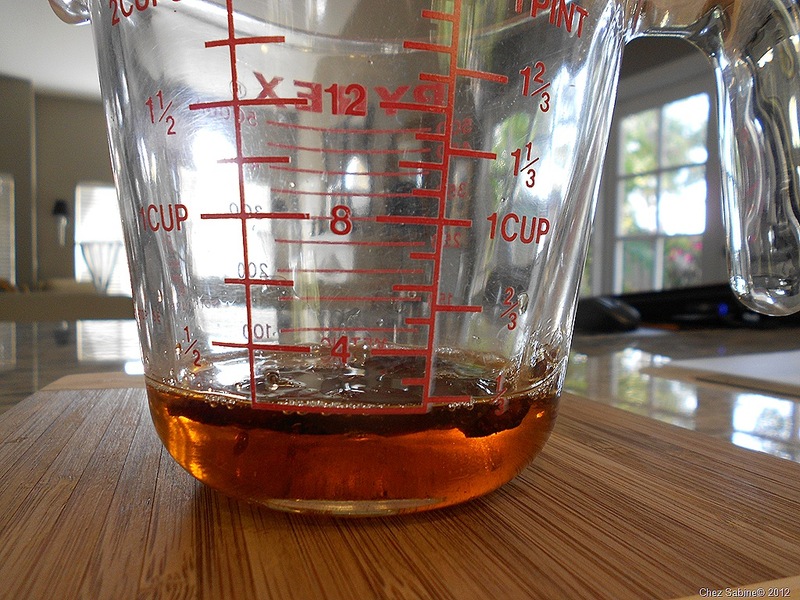 And, don’t worry, all of that fat will magically separate from the bourbon when the process is done. 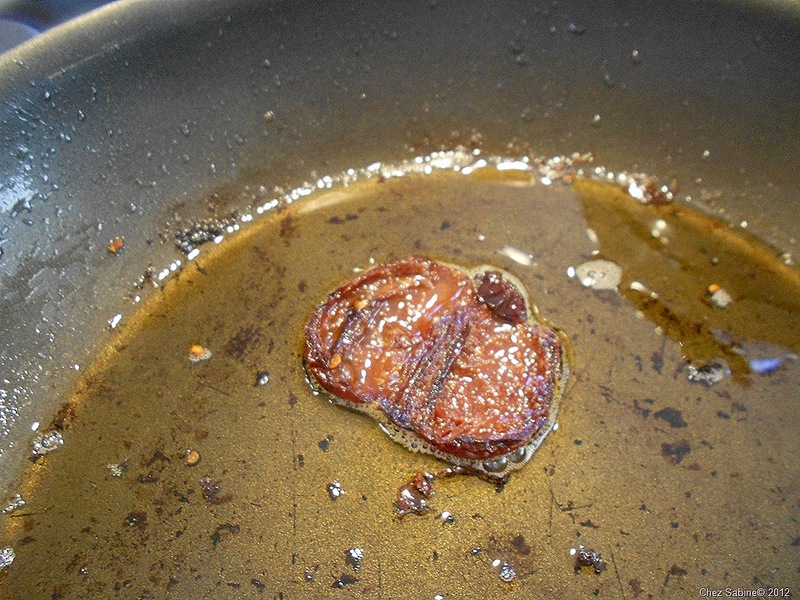 After an hour or so at room temperature, the bacon grease begins to solidify and gather itself along the top. Am I crazy or does that look like a turtle on the bottom of the pitcher? 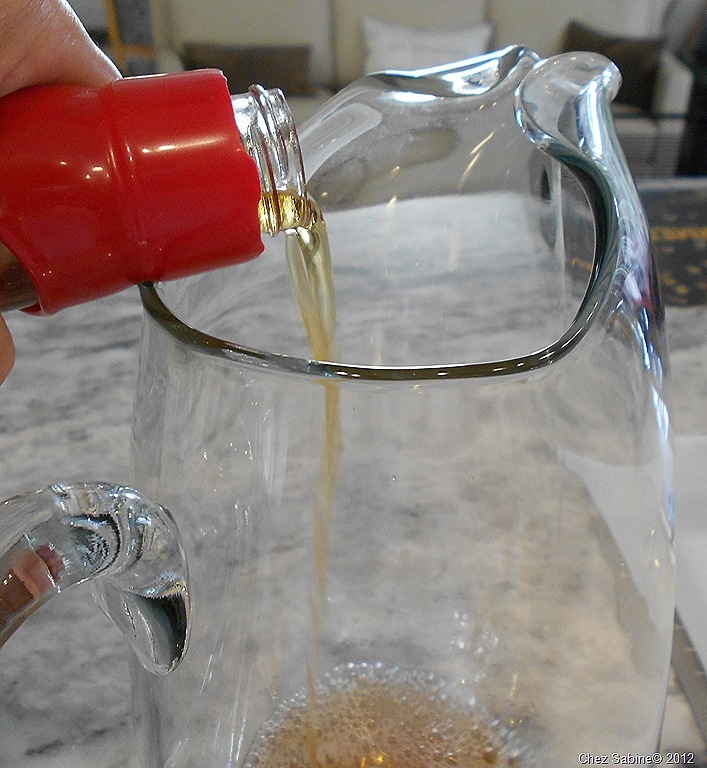 After about five hours, place the pitcher in the fridge or freezer until the bacon grease becomes very solid. You have options at this point. 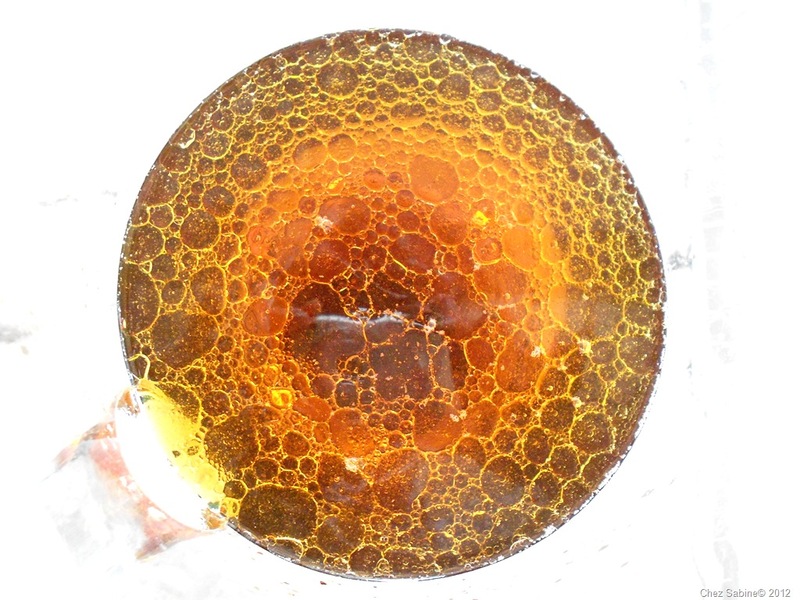 You can do as I did above and strain it through a fine mesh or you can pour it through a cotton cloth or a coffee filter if you want your bourbon absolutely pristine. I’ve done it all ways. But, sometimes, I don’t mind a tiny fleck of bacon. Color me crazy. And there it is – bourbon going back into its original bottle but with a whole new personality. I couldn’t resist the obvious garnish. If you like bourbon or know someone who does, give this smoky, spiked version a try. Check out the video if you need a refresher course.